This project consisted of mechanically dredging ~130,000 cy of non-impacted sediments to restore grade along two heavily trafficked sections of the St. Mary’s River. Dredging was performed to restore a minimum grade of 29.5ft. 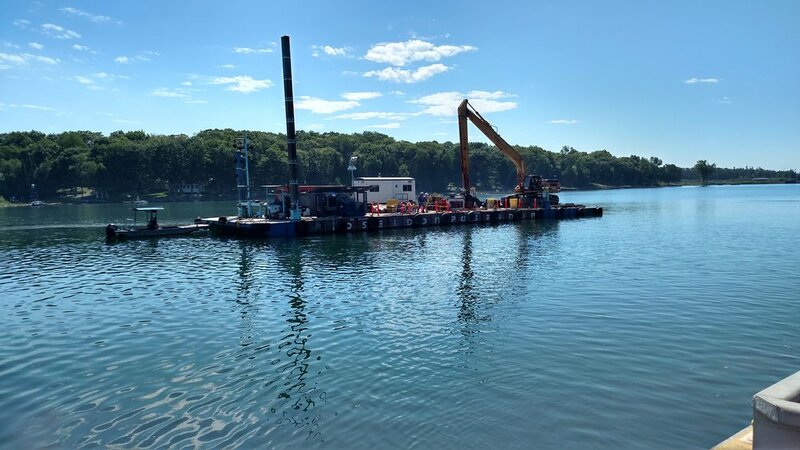 All dredging was performed using White Lake’s Case CX460 Custom Long Reach Excavator equipped with real-time RTK GPS positioning system to provide the most accurate grade possible and a specialized excavation bucket. Material encountered on this project ranged from hard packed sand, to silty mud, to 6” stone. The use of the mechanical dredge employed by White Lake made digging in these varying conditions possible. 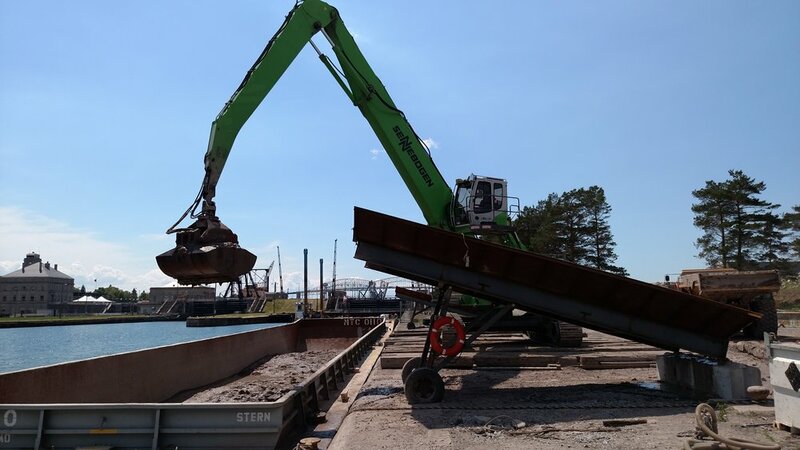 A substantial quantity of rocks and cobbles successfully removed to design grade over a large dredge area and disposed of with the remainder of the dredge sediments. The disposal area for this project was provided by the client. The unload site was 15-17 miles up-stream of the dredging location. 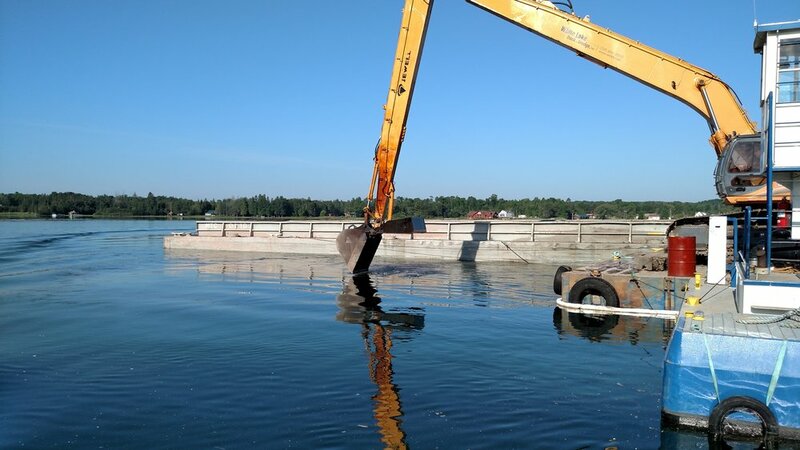 Two, 200’ hopper barges were utilized during this project and moved using White Lake’s tug the “Lauren A.” The utilization of these two barges provided for near constant dredge up-time; one barge was always in transport or being unloaded while the dredge was filling another. The movement of these barges required extremely close coordination with local Vessel Traffic Control and nearby vessels as there were sections of the dredging that required the “Lauren A” to traverse up-stream, in a down-bound shipping channel, for several miles. 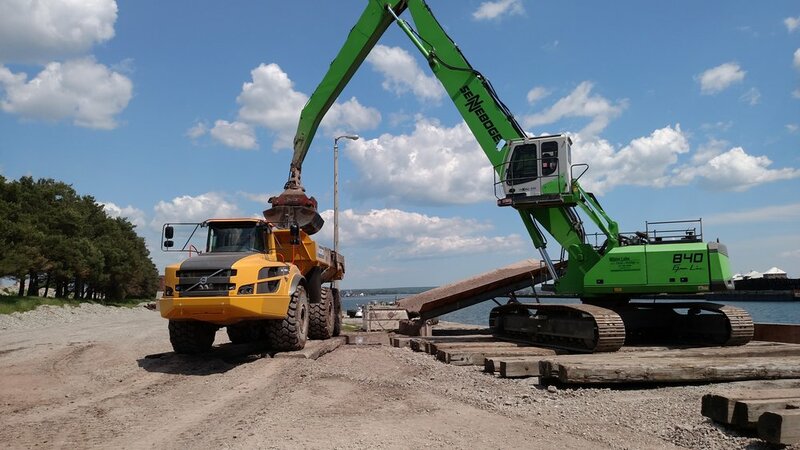 To unload the barges, White Lake utilized its Sennebogen 840 RHD with hydraulic clamshell bucket and loaded the material into off-road trucks for transport to the upland disposal pit located between the Soo Locks. 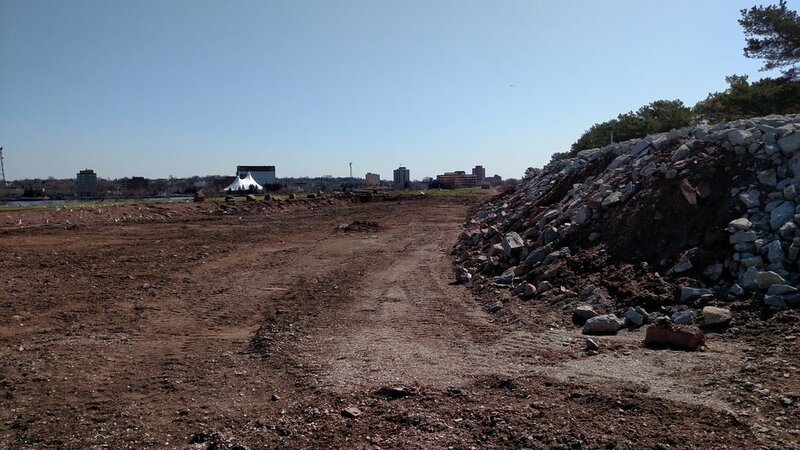 Management of the offload site was particularly challenging during this project due to the variable nature of the sediments encountered. To compensate for varying material, a system of berms/dikes was developed utilizing more firm dredge spoils to allow free flowing material to be contained. White Lake finished this job one month ahead of schedule, withing budget, and with a great health a safety record. There were no health and safety incidents during the entire job.